Robometricschool. 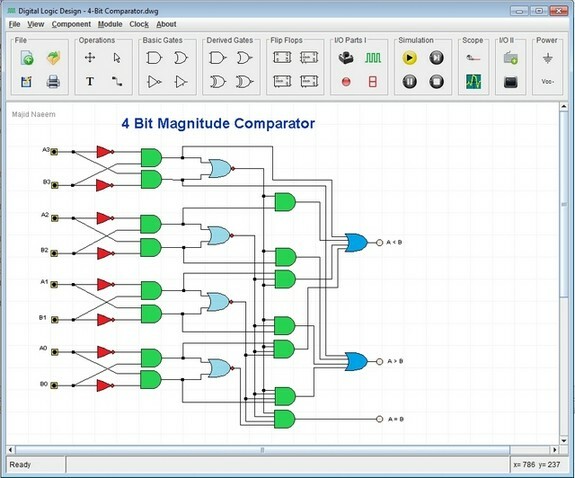 - Digital Logic Design is a Software tool for designing and simulating digital circuits. It provides digital parts ranging from simple gates to Arithmetic Logic Unit. In this software, circuit can easily be converted into a reusable Module. A Module may be used to built more complex circuits like CPU. The circuit working can be analyzed by using output parts like LEDs, Seven Segment Display etc.